Smart home, automated home, connected home or intelligent home. Whatever you call it, a home that's able to take the drudgery out of common, everyday tasks is something that every family can appreciate. In this inaugural book about home automation you'll learn how to incorporate the right types of products and systems into your house to achieve a new level of comfort, convenience, safety and efficiency. The book walks you step-by-step through the process of automating your home, and because automation systems are able to control just about anything electronic you can imagine, we've provided plenty of practical ideas. 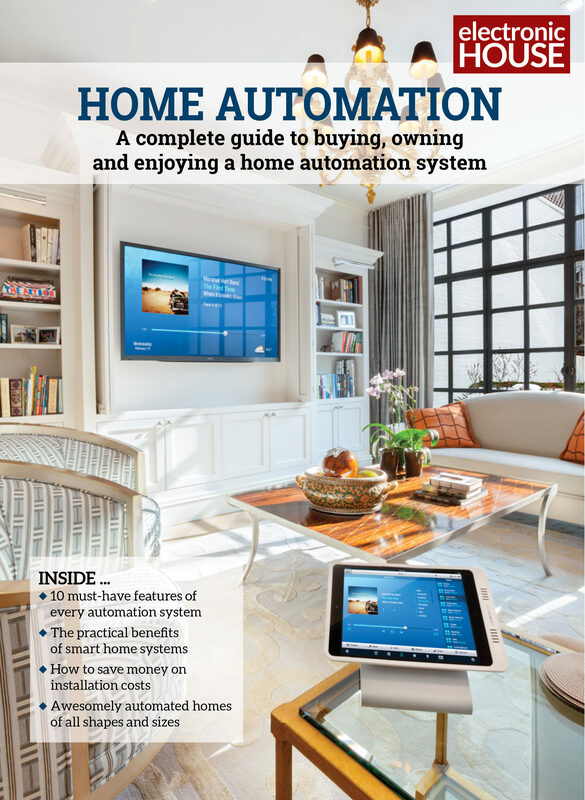 In 10 Key Features of a Home Automation System and Automation Ideas for Every System of Your House you'll gather more than enough recommendations to get started in your automation endeavor. No matter how many great ideas you gather from our Home Automation book, though, it's important that the system you buy today incorporates the most recent iterations of control technologies. We've followed the automation trends, put them into perspective, and offer advice on the critical new updates, upgrades and upstarts you'll want to look into when selecting a system. In addition to deciding what you want your automation system to do, you'll want to determine whether you'd like to install the system yourself or hire a professional to handle the task. Both methods offer their own unique set of advantages and disadvantages, so be sure to read DIY or Professionally Installed? before making your decision. You'll also want to check out our comprehensive directory of home automation manufacturers before taking the plunge. Finally, we finish the book with a series of finished automation installations, which range from a basic starter package in a condo to a full-blown, bells-and-whistles system for a bigger house. You'll see what types of features that owners of these homes chose to incorporate and hear how automation is truly making a difference in their lives. Otros ebooks de Lisa Montgomery.